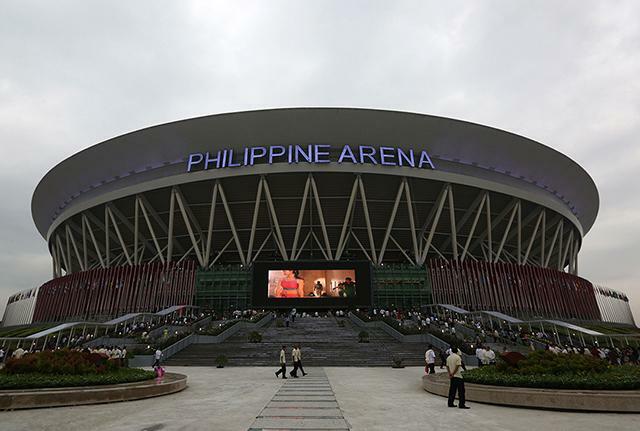 The largest indoor arena in the world known as the Philippine Arena was inaugurated on Monday, July 21, 2014. Philippine President Benigno Aquino III and the Iglesia Ni Cristo Executive Minister Eduardo V. Manalo led the inauguration of the new landmark in the country. Yes, the distinction of being the “largest dome theater on Earth” will rightfully belong to a coliseum in the Philippines. It is located in Bocaue, in the province of Bulacan and is slated to house more than 50,000 people. It is commissioned and financed under the Iglesia ni Cristo – the second biggest church denomination in the predominantly Christian country. The new arena came to prominence when it was featured in Discovery Channel, where the viewers of the show were treated on a tour of the amphitheater, which actually occupies roughly almost the entire 36,000 square meter area of the dome. It will officially be called as the Philippine Arena and the show also highlighted some points that proof that the structure is earthquake proof even if it is about 30 kilometers in proximity to the West Valley Fault Line (Pacific Ring of Fire). 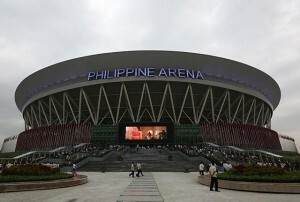 According to the Iglesia Ni Cristo (Church of Christ), the arena serves as the centerpiece of its centennial projects, intended for the church’s grand celebration on the 27th of July, 2014. The builders describe the Philippine Arena as a multi-purpose indoor arena, situated in Ciudad de Victoria in Bocaue and Santa Maria. It has the “unofficial” recognition as the largest multi-purpose arena in the world. But it is actually a part of a larger complex where there is also a school, another stadium, and hospital. This complex is called New Era University complex. In essence, New Era University is the legal and official owner of the Philippine Arena. New Era University in turn is a non-profit educational institution built by Iglesia Ni Cristo. The Kansas City-based global mega architecture firm, Populous, is the group behind the design of the Philippine Arena. The builders come from the firm’s branch in Brisbane, Australia. To attest to the remarkability of the arena, the master plan reveals that it is to accommodate at least 50,000 people inside while another 50,000 can stay and gather outside, like that of a live site or plaza. The arena has a one-sided bowl design. The lower bowl will be intended as the most frequently used part of the entire building. The architectural design on the other hand is focused on easy separation of the lower bowl from the upper portion through curtaining with acoustic as well as thermal properties. Aside from major church gatherings and events, the arena will also be used for sports and concerts. The design is general, which means that it is capable of holding all sorts of events including two of the sports Filipinos love the most – basketball and boxing. It was revealed that the construction of the entire complex is worth almost ten billion pesos. It’s a kind of money that even the government of the country can’t afford to build. Looking at an area of nine thousand square meters, the arena is equivalent to more than two hundred basketball courts. The Mall of Asia carries the honor of being the largest shopping mall in all of Asia. However, the size of the Philippine Arena allows it to accommodate eight Malls of Asia! The longest airplane in the world is the Boeing 747-8. If you want to know how many of it can fit right into the arena, that’s about 320! The blue whale is the largest living organism in the world. The Philippine Arena is equivalent to more than one thousand blue whales. But perhaps the most interesting fact of all is that the largest arena in the world is found in a third world country, which for many seems to be highly unlikely. But get that Madison Square Garden or Cowboys Stadium! The Philippines will get the distinction of being the home of the biggest multi-purpose indoor arena on Earth!